The reality of life is that life comes with problems and challenges. The secret sauce of living with life’s problems and challenges is changing our orientation, our perspective. Rather than efforting to avoid problems, or being in denial about life’s challenges, we can shed the “victim consciousness” and choose to see what messages or learnings about life and living our problems are offering us. A change in perspective often leads to the discovery of an inner strength, courage and will – an inner power – that support us to persevere and meet life’s challenges. Each and every problem and challenge leads to an expansion of our consciousness. If we choose, we can allow problems to stretch us – mentally, physically, emotionally and spiritually – to break through the familiar and “safe” boundaries of our limitations. If we allow, problems serve to make the unconscious, conscious and in the process support us to reveal and heal past hurts and wounding. Renewed faith and trust are by-products of consciously dealing with problems. When we’re “problem-oriented,” it’s usually impossible to be “solution-focused.” When we’re locked into a “woe is me” world-view, our hands are tied, so to speak, to search for a way through. And, that’s a choice – to be problem-focused or solution-focused. If you’re one who’s caught up in the blame-game, always pointing to something or someone “out there” for your problems, now is the time to understand that the source of every problem is inside us. Every problem is a mirror reflecting back to us our own personal, internal issues we have not owned. The truth is when we consciously own and address our issues, problems release their charge and no longer cause us upset or trouble. Many folks are waiting for their “real” lives to begin in some way – once all the obstacles are out of the way. The conscious, self-responsible, person sees see that such obstacles are, in fact, their life. So, it’s good to remember that all problems are the Universe’s way to help us move to a higher level of self awareness. Rather that shun problems, a healthy practice can be to explore how your problems can contribute towards your growth and development. Once you’re on the “other side” of a problem, you’ll have a deeper understanding and clarity as to why that circumstance, that opportunity, i.e., that problem, was in your life. Why it happened “for” you, not “to” you. No problems = no learning. And we came into this life to learn. All of us. Are you generally “problem-oriented” or “solution-oriented?” What would your partner, friends and colleagues say? What major problems/challenges are on your plate these days? Are you approaching them self-responsibly? 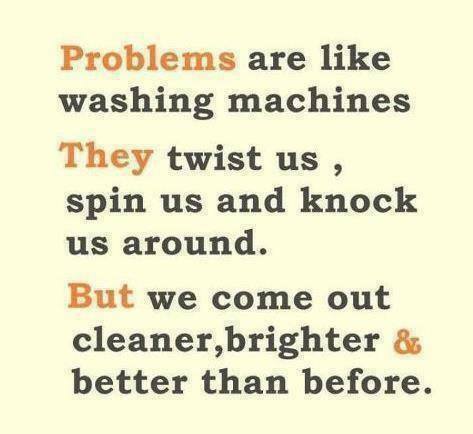 The way to see problems IS the problem. Do you agree? How do you create problems for yourself? Are you a blamer? Do you often feel like a victim? Do you think hating problems will make them go away? Does it work? Do they then go away? Have you ever found that what you thought was a problem, wasn’t? How did you come to see problems as problems? Every negative emotion (i.e., flavors of fear, anger, sadness, regret, jealousy, resentment, etc.) we experience as an adult has as is foundation some unresolved childhood experience (between pre-birth up to about the age of seven). While our adult life events and circumstances may change, our negative beliefs about life and emotional child-ish reactivity to life remain constant. Positive thinking, affirmations, “fake it ’til you make it,” “and “acting as if” strategies, etc. hardly ever create a “new reality” that is sustainable or consistent, nor do they actually overcome or replace these negative beliefs, assumptions, and associations. Why? It’s not only that unfortunate and unpleasant events happen to us in childhood, it’s that we become “fused” with these experiences and the feelings, emotions, physiological responses, beliefs and associations we create around them, i.e., our “stuff.” We “futurize our past,” carrying our past “stuff” into the present moment. An example might be experiencing betrayal or abandonment as a child and bringing this “stuff” into our adult relationships – at work, at home and at play – where we continually feel vigilant, suspicious and guarded. When we’re “fused” with our past, it’s well-nigh impossible to create a “new reality” because most of us are “unconscious” of the dynamic that’s taking place. By affirming over and over again, for example, “I am capable,” won’t change the “I feel deficient” thought in your consciousness. They both will continue to exist in your consciousness and the affirming just becomes more of a struggle, effort and exhausting “Sisyphus-like” exercise. You’ll seldom “erase” the negative thought/feeling/emotion and for most folks it’s always there, just underneath the surface, like a low-grade fever. The initial negative belief causing our negative, emotional reactivity is our reference point. All our positive thinking and affirmations are a “compared to what” exercise that continually points to this initial, negative reference point. Why is it that we continually tell ourselves we are smart, keep studying, acquire new knowledge, skills, degrees, certificates, over-achieve and yet still feel “deep-down” we are still not smart (or “smart enough”)? We’re continually comparing ourselves to our initial feeling of inadequacy because we are fused with the original negative belief as a reference point. However, once we see that we existed before we created our negative thoughts and beliefs – by becoming the observer of the one who is filtering life through self-limiting beliefs – we can then “step out” of ourselves into a new consciousness and release the filters that create our negative, emotional reactivity. So, here’s an exercise. Sit in front of your TV. But, don’t turn it on. Look at your reflection on the screen. See this reflection as just that, your reflection. Know that it’s not “you.” Gaze at it without judgment. Now close your eyes and see your reflection. Do this a number of times. Then, with eyes closed, see your reflection and also visualize yourself as a 3-4-5 year-old sitting next to your adult self on that screen. Be intentional about this. Focus and concentrate on the two images – the reflection of your adult self and your child self, sitting side by side. Now, visualizing the two persons on the screen, recall an unpleasant experience to which you reacted negatively, where you felt angry, hateful, resentful, or fearful, etc. Sit with this experience and allow yourself to feel the feelings and experience the emotions in your body, not just “think” about it. Be in it. Sense the little child next to you who is also afraid, angry, etc. Feel his/her anger as well. After a few minutes, take some deep breaths, open your eyes and look at your reflection. Then, close your eyes and now “unzip” a zipper that is on your back and “step out” of your self, and sense yourself sitting in your chair opposite the TV. 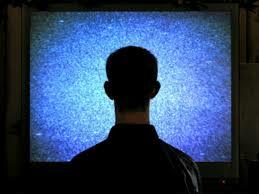 Sitting there, visualize your adult self and your child self on the TV screen. Now, sense into your body and allow any physical sensations you may be experiencing. Separate from any story around the sensations. Just witness and observe the sensations, the energy, and see what they want to do. Remember, no stories. Just physical sensations, energy. In time, with eyes closed, as you witness and observe your adult self and child self on the screen noticing them having their experiences, your negative energy will begin to dissipate and you’ll actually feel “separate from” your adult self and the little child on the screen. What “you” will begin to experience is your True Self, your Authentic self, the “you” who existed long before you “created” the “child” and “adult” self on the screen. In this state of presence, you may experience “space,” or a sense of freedom to “be me,” no longer attached to past associations, memories, stories or reactivity. Right here and right now you’re coming from a heart and soul-driven place not a mental, ego-driven, past-reference place. In this place, you can access your soul’s capacities and essential qualities that support you to be who you are, not “who you have (unconsciously) taken yourself to be.” You have no sense of “history” here. There’s only now. Freshness. In this place you can experience true and real neutrality, positivity – a new reality based on your True and Real Self. How so? Space. With this exercise and practice, you are adding space to your life’s portrait – stepping back, not “identifying” with past thoughts, emotions, or associations, etc. There’s no “stuff” going on. The negative thoughts, beliefs and associations you thought were “real” no longer are. There’s just you with no history, no reference points. Do you ever think about how you’ve created your self? Do you ever wonder how you came to be attached to, and identified by, your associations, beliefs, worldviews, stories or assumptions, etc? If you stare intently at a picture of yourself, and then step back and focus on the space around the photo, do you see the self in the picture differently in any way? Stare at yourself in a mirror for five minutes. What is that experience like for you? Do you believe that you’re looking at “you?” If not, how do the two of you differ? Are there people, places, things you are fused with (“evoking” some type of reactivity) and you aren’t sure why? Do you ever consider there are “parts” of your personality self that aren’t your True and Real Self? Behaving Badly – Is it OK? Some people routinely behave in ways that are out of integrity, unethical, immoral and untrustworthy and yet never experience guilt. How so? A growing body of evidence indicates such folks “disengage” from their core values, from their moral compass and even consciously “forget” information that would otherwise limit their inappropriate behavior. They rationalize their dishonest behavior in a way that lets them off the “honesty” hook. Psychologists tell us that “moral disengagement” and “moral self-regulation” lead to dishonesty. By either commission or omission, these folks, when behaving dishonestly (1) link their act to their moral goals and values or (2) uncouple their dishonesty from their moral goals and values. 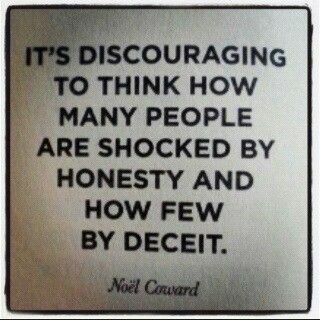 We seem to be experiencing more and more of the latter. When behaving dishonestly and unethically, one experiences both mental and physical reactions. Mentally, one experiences “cognitive dissonance” – a knowing that there is a “disconnect” between one’s act and one’s value system, and a “felt-sense” somatically – in the body – that is experienced as some flavor of physical discomfort. Too, there are those who disengage morally in order to benefit from another’s dishonest or unethical behavior (e.g., buying clothes from a company that ignores human rights and uses child labor). Do I use “moral disengagement” as a strategy to excuse my or another’s unethical actions as “permissible?” To what extent do I use moral disengagement to actually perpetuate unethical and dishonest behavior – mine and/or others’? The number of “hypocrites” who have surfaced or been “outed” in recent days, weeks, months and years, in the arenas of politics, sports, finance, religion, health care, business and the like are prime examples of the duplicity that moral disengagement perpetuates. Most of us can self-censure – consciously view our actions, and self-regulate, i.e., act morally or not. Everyone has the choice to engage in good behavior or bad behavior and judge their own actions, accordingly. The ethical and moral bottom line is whether one chooses to activate their self-regulatory process – to consciously consider their values, standards, moral code and conduct in the moment. There are those who choose to not engage their self-regulatory process and morally disengage. That choice to morally disengage depends on the strength of one’s core values and motivations. A major factor affecting the degree to which one morally disengages, and rationalizes dishonesty, is their environment and culture – work, home, play and relationship. Where you live, work, play and relate, what is the culture around dishonesty, cheating, lying, or behaving unethically? What are the tacit, subtle, silent or unwritten rules that reflect immorality, illegality, dishonesty and unethical behavior? Is moral disengagement a “business-as-usual” strategy? Is there a growing sense of pervasive dishonesty? Do you have an obsessive need to “fit in” or “stand out,” to be regarded as “somebody” that forces you to succumb to an unethically permissive environment? What opportunities, pressures or “silent consent” might drive you to lie, cheat and steal? Conduct formal, on-going conversations about ethics and moral behavior. These discussions can help to put a stop to some folks’ moral disengagement. Ask individuals to read, discuss and sign a “moral code of behavior” or honor code. These actions can help raise people’s awareness which can stem the tide of unethical behavior. In the final analysis, you are responsible for your actions. “The devil made me do it” and “Everybody does it” excuses don’t apply – ever. Living for the moment, driven by greed, caught up in competition and living in an environment that says, “It’s OK to be a criminal,” moral disengagement has become the “behavior-du-jour.” When we uncouple our behavior from our internal moral compass, with an “ends justifies the means” or “everybody does it” mindset, we are putting our individual futures at risk. The Universal Law of Attraction – The Universal Law of the Circle – says what we give out we get back. Is “moral disengagement” the underlying life principle of the legacy you want to leave? Are you aware of the ethical standards in your workplace? At home? Do you ever engage in discussions about ethics and standards? On a scale of 1-10, how trustworthy would you say you are? What would others say? How do you know? Developmentally, most folks grow up in a “cause and effect” environment. We learn that when this happens, or you do that, something results and vice-versa. Our brains become wired to this phenomenon – cause, effect and connection. We search for patterns with people, places, events and circumstances – at work, at home, at play and in relationship. Along the way, we become curious, not only wanting to understand the “what” and “how” of things, but the “why” as well. So, what happens when we don’t know why? What happens if there is no pattern? What happens when there is no connection, no “permanence?” How do we respond/react? Essentially, most folks attempt to create patterns when there are none – they create illusions. 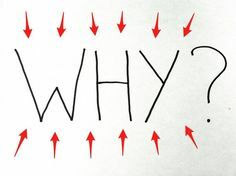 Illusions are connections, causes, and otherwise nonsensical and irrational “reasons” or “stories” to explain “why.” Many of us are unable or unwilling to live without answers. We have to have a handle on the natural order of the Universe. For example, we have an intense obsession (perhaps unconscious) to know the “why” of the recent weather phenomena, or hurricane or earthquake. We want to know why someone was affected and the person next door went untouched. Why? Why? Why? For many folks, living with the unknown is uncomfortable, even unfathomable. The unknown s troubling and raises feelings of disharmony, imbalance, anxiety, even deep fear. It’s like taking a psycho-emotional bungee jump. It’s about the need for control. And when folks feel out of control, well, it’s akin to dying. The unknown is the antithesis of feeling whole, complete and “safe” or “held. So, rather than live with the unknown, we have this tendency to explain “what happened” with a “faux reality” which gives us a false sense of comfort and safety. We construct an illusion and substitute this illusion for reality. Historically, folks have reached out to “Natural Law,” “Natural Science,” “God’s will,” “Karm”a and the like for explanations, for comfort, for the feeling of control in the face of the unknown. The ironic piece of this puzzle – the illusions we create to make ourself feel safe in the world – is also the cause of our pain and suffering. Letting go of the illusion and being comfortable with the unknown – not knowing – is what ultimately results in freedom and empowerment. Not knowing is an opportunity to take a deeper look inside – to explore and examine what’s underneath our wanting to know and the effect this wanting has on our life – at work, at home, at play and in relationship. Intellectually, we grasp for answers – our developmental, biological, psychological process at work. On a soul level, however, there can be a greater sense of distress about encountering the unknown. However, this distress is actually the “way in” to comfort, safety and security. Exploring our need to be the master of the unknown, exploring the “stories” and illusions we create to explain the unknown – explorations which are often challenging – can bring us to a place where we can rest with not knowing. As the Biblical story of Job points out, our lack of understanding can lead us to trust. Our constant need to figure everything out, our constant self-sabotaging mantra that we “should” be able to figure everything out, only leads to greater pain and suffering. We often hear “trust the process.” It’s an operating principle worth taking to heart. Life is moving at ninety miles an hour, natural phenomena abound daily, and social dynamics occur in the blink of an eye. The mind is not always capable of understanding, of having all the answers. So, stop efforting to figure everything out. The obsession with trying to figure everything out actually takes us away from our experience in the moment. Preoccupied with figuring everything out keeps us from the inner space – below the neck – where we can learn and grow from our immediate experience by being present to it, being consciously aware of what we feel and sense, not think. Engaging in the mental gyrations of trying to figure everything out keeps us from actually having an experience, feeling that experience, being in the experience, instead of being next to our experience. And, even if we think we have it all figured out, it’s usually but a short time before “buyer’s remorse” sets in – spending precious time and energy wondering if we’re “right,” or feeling guilty, blaming, or stressed in some way that we may not have the answer, or the right answer. Rather, if we set our intention to do our best and to learn on the fly, in the moment, we’re more apt to understand not only the “why,” but the “what” and “how” from another, different, more realistic perspective. When we are the experience, we give up the tendency to allow the past to predict the present; we allow context, the experience itself, to guide us. We can “reflect” on the past, even look for patterns, but without having to have a “right” answer. We’ve all had the experience of discovering how wrong our assumptions can be. And we’ve also had the experience of self-sabotage when we allow our assumptions get in the way. Surrender and letting go, as uncomfortable as that may sound and feel, inevitably allow us to meet our experience, naturally, without guilt, without shame, without stress, without blame and without pain and suffering. Surrender and letting go are aspects of trust – not resignation, despair, or giving up – but trust in the knowing that one’s life force, not mind, is trustworthy, that there is no real reason to struggle or to effort to figure everything out. Do you find yourself resisting your experience much of the time? How do you resist? Why do you resist? Have you ever just surrendered and let go? What was that like for you? How did you learn about trust as you were growing up? Have you ever known exactly what to do without having had to “figure it out?” What was that experience like? Do you engage in constant research, deliberation or obsessing when you have a decision to make? Do you trust your “higher” self, your inner intelligence? Can you trust that your life circumstances, even though you can’t always explain them, are here for your awakening? Life ­ at work, at home, at play, and in relationship ­ evolves daily, even moment to moment. We’ve heard the expression “change is the one constant in life.” Every day we experience change in some way, shape or form. For many, change is unsettling ­ it dredges up our feelings of insecurity, instability and disharmony. These uncomfortable feelings and emotions do not come from the change itself. Rather, our experience of the pain and suffering we experience with change results not from the experience of change, but from efforting to hold on ­ to the past, to familiar ways of thinking, be-ing and do-ing. Perhaps you’ve recently reacted to, or resisted calls for, change in your work, in your life at home, in your relationships or even in the habits and patterns you’re accustomed to in your play and recreation. Underneath our reactivity to change is some type of fear ­ e.g., fear of the unknown, fear of new ways of doing things or thinking about things, fear about having to learn something new, fear of letting go, fear of being different, fear of “who I might become” and the like. This fear presents a tremendous opportunity for personal and professional growth. How so? 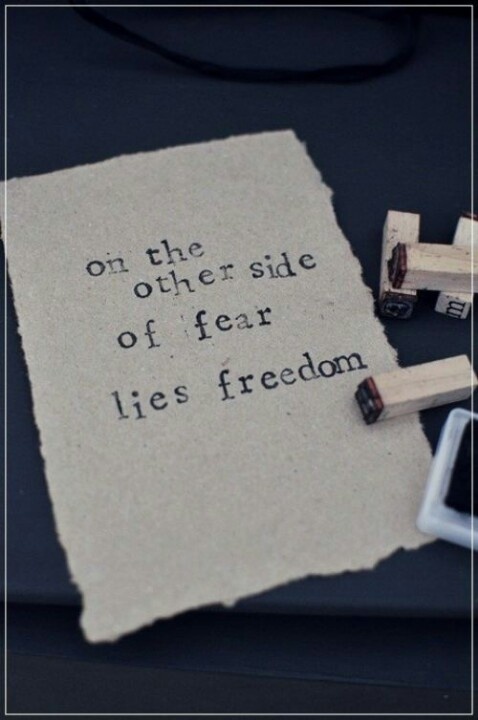 When we experience our fear around change, a powerful question to explore is, “What am I afraid of?” This exploration allows us to dig deeper and understand what’s beneath our fear ­ an opportunity to see what we can learn about our fear, what fear is telling us. If we enter this exploration from a place of curiosity, rather than from self-judgment (i.e., feeling “bad” or “wrong” with our discomfort around change), we can begin to be at peace with out fear. We can watch it. We can observe it as it moves through us. But we don’t have to “become” it. We can just be with it. Rather than denying or resisting our fear, talking a detour to move around it, suppressing it or controlling it, we can lovingly and compassionately invite ourselves to come into direct contact with our fear and see what it wants to teach us about ourselves. Fear and love are on opposite ends of a continuum. The more we can be with our fear, allow it, understand it and learn from it, the greater our ability to experience life from the love side of the continuum ­ where change is not so threatening. On the love (of ourself) side, we feel less resistance to change, we are more capable of “going with the flow,” we have less need to control, and surprisingly, we find we are more trusting when change happens – at work, at home, at play and in relationship. The first step towards being OK with change is acceptance ­ acceptance not of the change, but acceptance of yourself, of your fears around the change, believing that it’s OK to feel your feelings. The next step is to go inside and explore what’s underneath your fears. Really explore and not try to “think” your fear away (an art form in Western culture). Once you accept yourself as you face change, you become more clear about the causes of your fear, your reactivity and resistance. You develop the capacity to be more open to allow change. Exploring your fear from this place will lead you to “right knowing,” “right understanding” and “right action” with respect to the change. The beauty of the fear, and the tension around it, is that without tension growth is not possible. A seed cannot grow without tension. Some seeds need cold, some need warmth. When seeds begin to grow, they meet the resistance of their shell. As such, they need to push through the soil ­ some even need to push through concrete or macadam ­ and then against gravity and the wind. The deal is that none of these resistance elements inhibits the seed from growing but, rather, they enhance its growth into a mature and strong plant. This is why fear is an opportunity for growth. So, at work, and at home, at play and in relationship, we can learn to grow through change ­ we cannot change and grow while resisting, defending and holding on to the status quo, hanging on to dear life. Change is not a threat to growth but, rather, an integral part of it. Many folks resist change in order to remain “comfortable.” But, the comfort they wish to hang on to is “wrapped” in fear, in a quiet or not-so-quiet mental/emotional state of vigilance or subtle agitation masquerading as “comfort” (always fearful that something or someone will “change”). In this place of “faux” comfort, one cannot experience true and real comfort, true and real inner harmony and peace. What these folks really want is harmony; what they really experience is inertia and numbness. Harmony comes when one is at peace with one’s life and one’s environment, when one is open to change and adaptation ­ not resistant to it. Hanging on for dear life, does not result in a dear life. It results in tension, stress, anxiety, resistance and resentment. Exploring our fear and resistance is the pathway to harmony and inner peace, personal and professional growth, development, harmony and balance. Finally, remember, life is change. Life is choices. Whether you embrace change or come to it kicking and screaming is your choice. We cannot grow and thrive without change, conflict and tension. Avoiding change, denying change, resisting change keeps us feeling like a victim, always wanting to blame someone or something for the way we feel. Change is an opportunity for us to navigate our world with our eyes “wide open,” not “wide shut”. Change allows us to grow our minds, stretch beyond our mental limits and emotional boundaries. Change allows us to move through life with a greater degree of trust, freedom and harmony. Ask your fear what it’s there to tell you. Be alert for inner messages that will bring you greater understanding of your situation. Listen with your heart, your inner self, not your “logical-ego mind”. What is your greatest fear? Why do you fear what you’re fearing? Are there aspects of yourself you reject? How so? Do you face change with ATTENTION or TENSION? How can you use tension and conflict to grow stronger, and become more authentic, as you? What is a current change or conflict in your life telling you? What area of potential is it pointing to? What quality about your self is it pointing to? Are your current tensions or conflicts the same as last year, the year before and the year before that? If so, why? Would you characterize yourself as an embracer of change or a victim of change? Why? Do you feel you have the right and the power to decide how anyone or anything can affect you? Would your colleagues, friends or family say you most often embrace change or resist change? Are you hanging on for dear life in some way, shape or form in your life? How did you and your family deal with change as you were growing up?